Our long-awaited history book has been published and was launched on Friday, 2nd December 2016. The launch took place in Ashton School and the book was launched by special guest – retired teacher and past-principal Bertie Smith. Bertie came to Ashton in 1974 and ended his teaching career as principal of Ashton in 2011. With a connection with the school spanning 37 years, Bertie was an eye witness of much of the history of the school and he lived up to his reputation by delivering an inspiring launch speech on the night. On the night those who attended got more than just a glimpse of the new building – an impressive three-storey structure which brings all the main buildings on the site together to function as one. 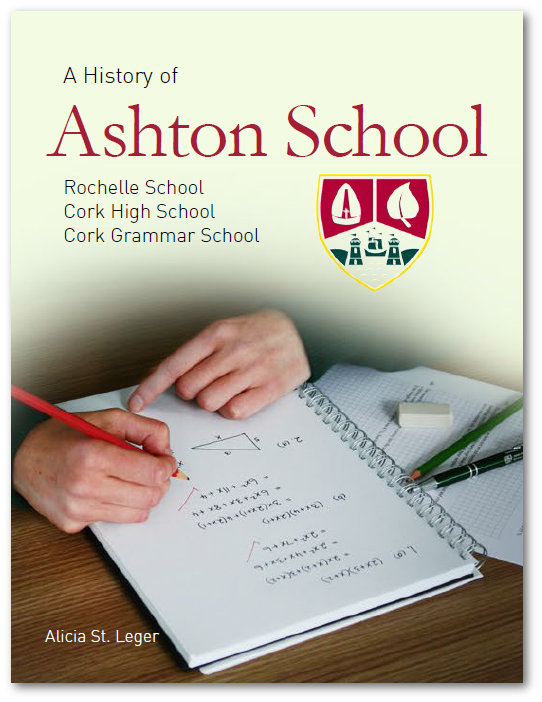 That includes the refurbished Sports Hall and the Georgian Cork Grammar School building (Ashton House) which was refurbished during the recent building project – completed and officially re-opened on 27th March 2015. The school buildings are set off by two art work sculptures – one designed by local artist and past pupil Alex Pentek. The book and memorabilia it contains makes very interesting reading for anyone with a connection with the school. No doubt it will make an ideal Christmas gift for all the family and those who were not able to make the launch.